Can Someone Out of State Adopt My Child? If you’re pregnant and considering adoption for your child, you may be looking for the perfect adoptive parents, and you probably have many questions. One of those questions might be “Can someone adopt my child if they live out of state?” The quick answer to that question is yes. If you live in the United States, you can choose an adoptive family who lives in a different state than you. I’m an adoptive mom, and both of the children we adopted were born in states we don’t live in. We found an agency we believed was highly ethical and had practices that aligned with our beliefs surrounding how birth mothers should be treated. That agency happened to be in Texas. We lived in Tennessee for one adoption, and we lived in Mississippi for our next. Now that you know it’s possible, I want to dig a little deeper into what it means to place with a family who lives out of state. That way you can decide if it’s something you want to consider. Do you already know what kind of adoption you want? There are three main types of adoption: closed, semi-open, and open. The very short explanation of these is that the level of information and contact you have with the adoptive family increases the more open the adoption is. In closed adoptions, you often have no information surrounding the adoption, and no updates. In semi-open adoptions, you may have very little contact and few updates. Or you may have a good deal of information and regular updates, but an exchange of exact addresses or visits is rare. In open adoptions, exact addresses are often shared, and contact can be frequent between birth parents and adoptive families. Phone calls, emails, photos, and even visits are common. Adoptees from previous generations, when closed adoptions were more common, are now speaking out about the difficulties they had growing up without information and a connection to their birth families. This has made semi-open and open adoption increasingly popular. I give this information because choosing a family who lives out of state may matter very little to you if you are seeking a closed or semi-open adoption and are not hoping for visits. One of the main reasons to choose a local family is if you’d like to have frequent visits, so many women seeking open adoptions choose families who do not live far away from them. 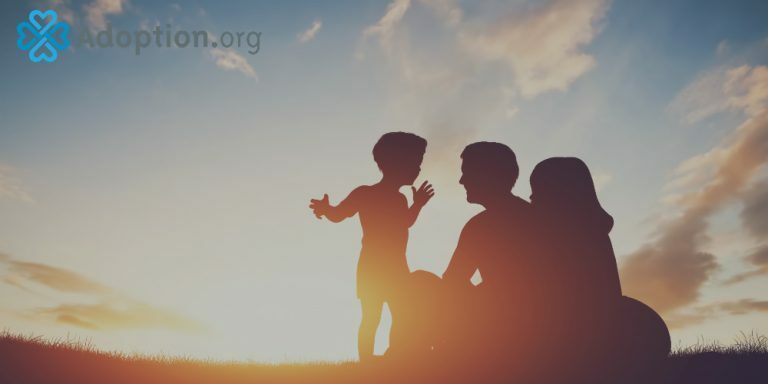 But maybe you’re just hoping for an annual visit; many hopeful adoptive couples are willing to commit to visiting once a year to ensure the child you both love remains connected to you. If you’re not hoping to see your child frequently, consider families who live out of state, but ask how committed they are to making visits happen. We currently live 12 hours away from my daughter’s birth family and 8 hours away from my son’s birth mom. Before placement occurred, we spoke about visits, and our promise was to return once a year for at least a few days. Our track record is much better than this, and we’ve been able to see our kids’ birth parents, on average, twice a year so far. But our goal has always been to under-promise and over-deliver. If you’re worried the family you choose may make promises they won’t keep, consider talking to a family who has already adopted from out of state. If they already live out their promises to return for visits, you can have more confidence they will do the same for you. With today’s technology, it’s easier than ever to stay connected to your child and his or her family. Discuss options with the adoptive family you’re considering about how you can stay connected. Options include Facebook and other social media (including private profiles for sharing photos), shared photo albums, texting, phone calls, emails, and FaceTime or Skype. If you’re hoping for visits and fall in love with the idea of your child being raised by a certain family who happens to live out of state, have important talks with that family about how you can make things work despite the miles. To look at some adoption profiles, visit adoption.com/profiles.